Beau joined us in January 2018. He has quickly made himself an invaluable member of the team. He likes helping people around the office by providing cuddles and offering morale support. His hobbies include stealing shoes and playing with squeaky toys. 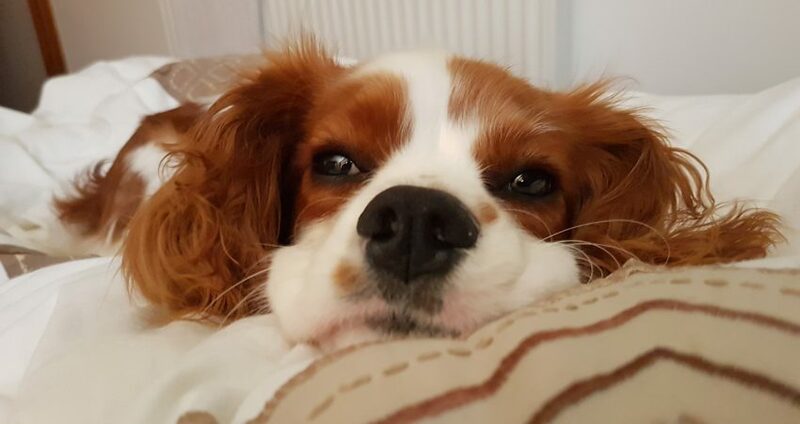 Beau can often be found lying on his bed thinking of new strategic ideas, which are mainly new ways of obtaining treats!